Autumn and winter bring changes in the temperature and changes in our lifestyle. There are more celebrations, holidays and family gatherings in these two seasons than in any other. 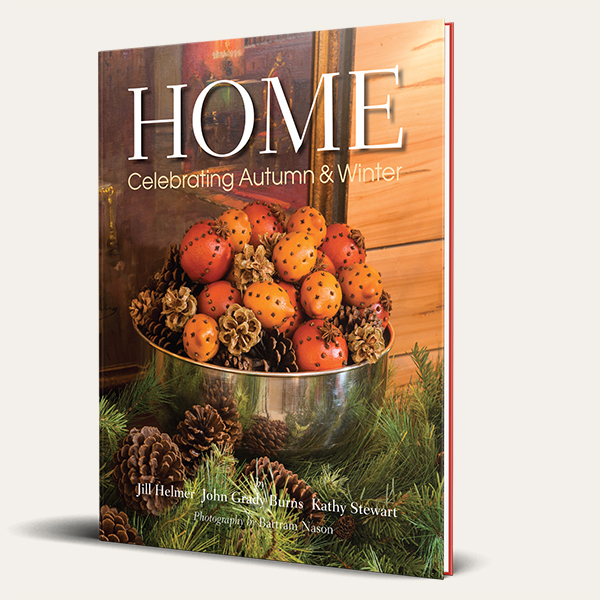 Home—Celebrating Autumn and Winter shows the many ways one can extend these two beautiful seasons by decorating the home and enjoying all that nature has to provide. 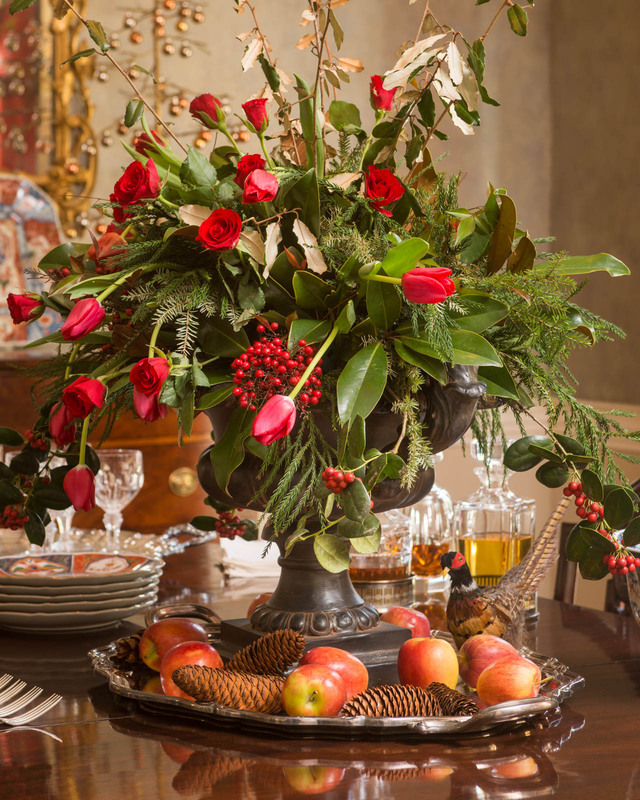 Entertaining has always been a big part of autumn and winter. Whether it is a formal gathering or getting together to watch football, we encourage you to use your favorite accessories and get creative. Welcome friends into your home and treat them as the special guests they are. No matter the occasion, it is always most appreciated when putting your best foot forward. It is no more trouble to reach for the better china and stemware than for the ones in the cabinet closest. 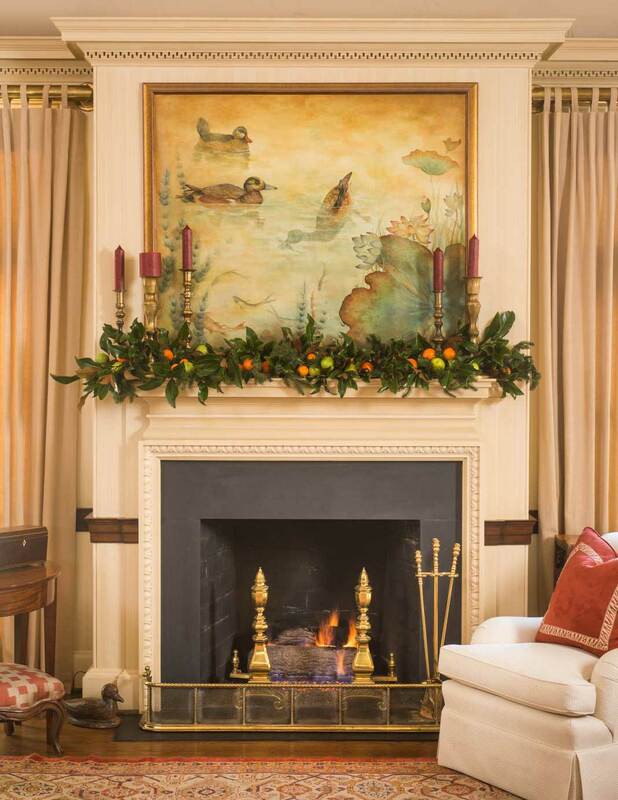 A mantel dressed for autumn or winter with magnolia, apples, and tangerines. 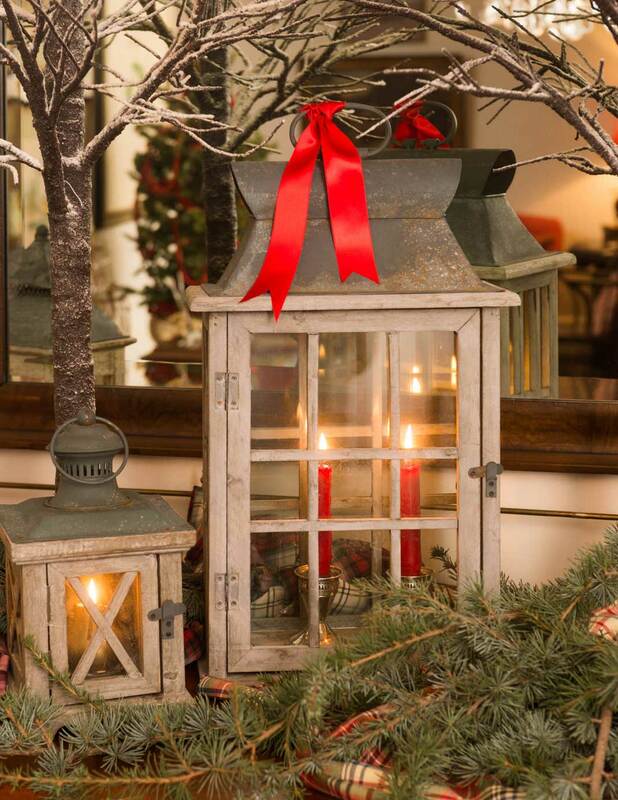 Lanterns evoke the feeling of a Charles Dickens Christmas. 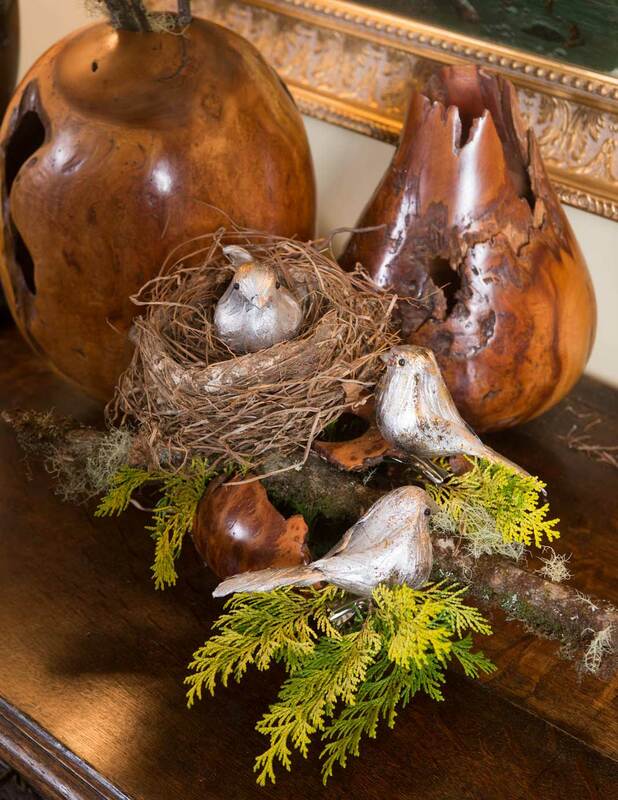 Adding platinum colored birds and chartreuse cedar have turned this into a winter vignette. Home–Celebrating Autumn and Winter showcases the little touches and the additional layers of embellishments that can be done to decorate for the seasons. No matter the level of expertise or confidence one has, working with items within or around your home is the first place to start. The props are there; Home–Celebrating Autumn and Winter will help you learn to look at them in a different way. Celebrating at home with the fruits of autumn. 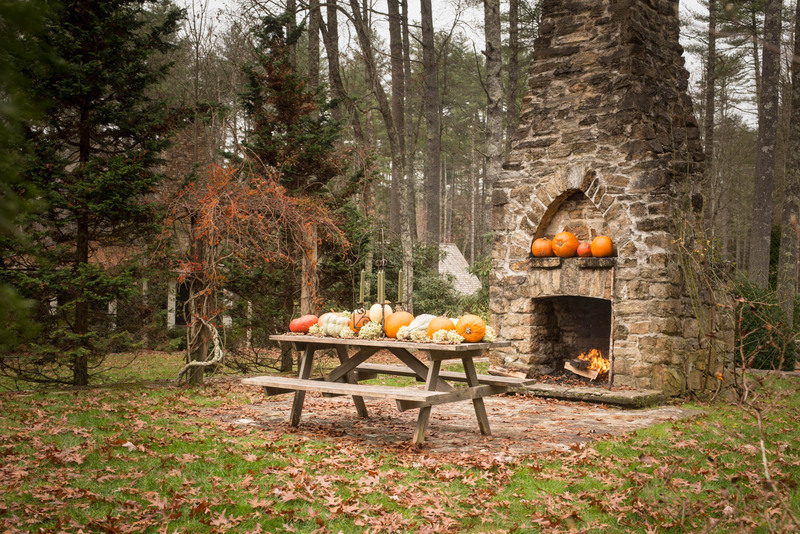 Entertaining outdoors with a cozy fire. 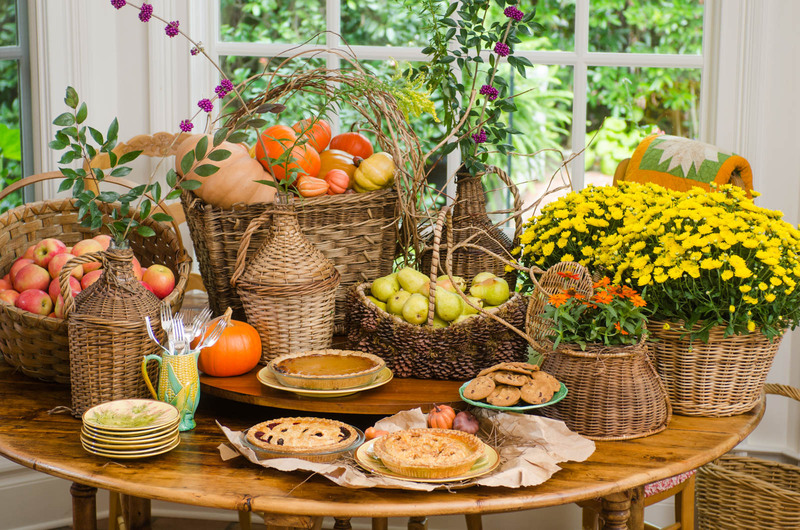 Celebrating during autumn always includes pumpkins, gourds, apples, pears, brightly colored berries and flowers. Grouping these items in large quantities always makes a bold statement. With more than 200 photographs of lovingly decorated homes and gardens, Home–Celebrating Autumn and Winter will keep you inspired for years to come. Order your copy now, or buy one as a gift for the designer in your life. Evergreen Decorators is Jill Helmer, John Grady Burns, and Kathy Stewart. Copyright © 2009-2017 Collaborators Publishing and Bartram Nason. All rights reserved. For wholesale and other inquires, email evergreenbook@gmail.com.